Technology and new innovation have made our life a lot easier and potentially more secure. However, on the downside, some of us are addicted to gadgets and new technology. There is, in fact, a good chance that some may not even be able to survive a single day without it. Since the dawn of the humankind, Big, Small, subtle or revolutionary - The inventions and innovations have been making the world a better place. Every once in a while, something catches our attention and then spreads like a wildfire. Today life is all about the word “smart” and the word “Connected”. From PC’s, Laptops, Smart Phones, Smart Wearable devices, Vacuum Cleaners, Coffee Machines etc almost everything has now become smart or is in a race to catch up. When it comes to home security and keeping our families safe, smart locks have taken up the lead and are proving to be one of the best innovations. This automation component within the home security ecosystem provides a hassle-free way of managing the security of our homes in tune with today’s busy life. How many times have we wondered about that moment “Did I lock the door behind me?” while being in the waiting area of the airport. Setup and installation of a smart lock can take that worry off our minds. The Lock-unlock operation can be performed from a smartphone or any internet connected computer by logging on to the Integrated App or the relevant portal. While it gives itself away, Let’s see what a “Smart lock” actually is ?. A smart lock is an electromechanical lock that uses a secure wireless communication from an authorized device or a person to perform locking and unlocking operations in real time with feedback . Unlike the traditional locks, smart locks provide a smarter way to perform the regular operation of locking and unlocking the doors, be it your main door or a garage door. Since Smartphones is the lifeline for a lot of us these days, Many smart locks vendors / manufacturers offer a mobile app to manage the lock and unlock operation with a simple tap. While others who are still in the race and catching up would offer a web app for desktop or laptop PC to control things remotely. Although the feature set depends upon the vendor and or the manufacturer, Most of the smart lock apps also let you add permanent and temporary users. There are a plethora of options available and there are few technologies on which these smart locks depend upon. If the smart lock works with the Bluetooth wireless technology then due to the limitation of the technology, One will have to be in the range of the intended device or the management hub. Many smart locks have the ability to work with the wi-fi either directly or via a smart home management hub. Unlock through fingerprint sensors or via a combination with secure pin numbers. One of the most important features of the smart lock is to offers activity logs to track who entered or exited the home via tracking the unlock and lock by identity. Imagine driving up to the porch and the garage door opens itself sensing the proximity of the mobile phone with the integrated app, this would have tracked and recorded the activity by a particular device belonging to a particular person. Being a part of the emerging and trending technology, There are lots of products available in the market from various vendors and manufacturers. However, just like any other commodity or products available in the market, not all of them are good enough “Yet”. When it comes to home security, it is imperative that a lot of considerations have to be satisfied and nothing can be overlooked. Therefore we have tested 6 most prominent smart locks with a different set of criteria. It is a task which is easier said than done, however, someone has to do it or else someone else will learn it in a “not so nice way”. Here is a list of best available smart locks in the market these days. August Smart Lock, 3rd Generation is one of the best smart locks that we have tested. It is the latest release from the August smart lock line-up and unlike the traditional line-up, this 3rd generation model comes with a new slinkier industrial design which is also much cheaper than the predecessor 2nd generation. The slimmer and taller design works better on doors with glazed panels. It perfectly fits over your existing deadbolt. There is no need to replace your existing lock. You can install August Smart Locks over the standard deadlock on the interior of the door. In this way, you have two options to lock your door via the traditional keys or via August Smart Lock remote features. It has a traditional thumb turn style component to lock and unlock the door from the inside. The installation is very easy and takes 15 to 20 min if you have the right tools. This makes the lock more popular. One of the biggest advantages is it runs on 4 AA batteries. The smart system let you know about the battery status through the app. So never have to worry about the lock during a power outage. It supports Wi-Fi, Bluetooth, Amazon Alexa, Google Assistant, Airbnb, Home Away Simplisafe, HomeKit, and others. August’s beautifully designed and easy to use app makes the whole operation simple. You will not face any problem even as a newbie. Some additional features include, guest key, activity log, automatic lock unlock etc. It costs around $125 on Amazon. Yale Assure Lock Touchscreen Deadbolt is another smart lock that has impressed us. Design wise this smart lock looks quite different from the others. The tall shiny body design having a touchscreen and a traditional keyhole. It seems like the combination of traditional and smart technologies. When paired with a network module it can work with your smart home set up. It can also communicate with Amazon Alexa. It perfectly fits over your existing deadbolt. Or you can replace your existing traditional deadbolt should you wish to. There are various option to manage this smart lock. Enter your 4-8 digit PIN code on the touchscreen keypad, use your smart home app, or unlock with the physical key. It costs $199 on Amazon. 3 - Schlage Smart Sense Deadbolt Schlage is a 100-year-old company carrying a reputation for excellent hardware. The company has now ventured into the market of smart locks and has achieved relatively huge success. One may easily underestimate this by seeing the old-school look. But make no mistake this is one of the best smart locks available in the market now. This smart lock works with Siri, Alexa, and Google Assistant. You can lock unlock the smart lock from anywhere when it connected to Schlage sense Wi-Fi adaptor which is an addon and is sold separately. The company provides free Android and iOS apps to manage the lock. The app has a rich user interface and it easy to use as well. Through the app, you can manage codes, manage users, set schedules and view activity log etc. It allows you to create up to 30 unique access codes. This smart lock also runs on batteries hence we never have to worry about the power outage situations. It costs $166 on Amazon. Schlage is a 100-year-old company carrying a reputation for excellent hardware. The company has now ventured into the market of smart locks and has achieved relatively huge success. One may easily underestimate this by seeing the old-school look. But make no mistake this is one of the best smart locks available in the market now. This smart lock works with Siri, Alexa, and Google Assistant. You can lock unlock the smart lock from anywhere when it connected to Schlage sense Wi-Fi adaptor which is an addon and is sold separately. The company provides free Android and iOS apps to manage the lock. The app has a rich user interface and it easy to use as well. Through the app, you can manage codes, manage users, set schedules and view activity log etc. It allows you to create up to 30 unique access codes. This smart lock also runs on batteries hence we never have to worry about the power outage situations. It costs $166 on Amazon. Kwikset is quite a famous brand in the smart lock market. After huge success in the traditional locks, the company now is making efforts to be a leader in the smart lock market too. As a result of continuous testing and innovation, the Kwikset Kevo 2nd generation is here not very long after the initial 1st Generation locks. The exterior side of this lock looks old-school design but the interior side looks compact tall and modern. 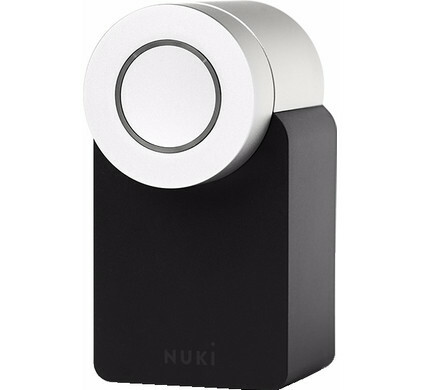 The lock can be opened with both wireless radio frequency and wireless Bluetooth connection. So you have the option to open the lock from your smartphone or using a key fob. While most smart locks allow one smartphone to take the control, this lock offers you to add two devices with full access. You can also send eKeys to your guests as well. It can works with Alexa voice command when connected to a network hub. It may seem unorthodox, but this smart lock comes with physical key for those family members in your home who are not particularly tech-savvy. This is our opinion is really useful and helpful. To manage this lock, Kwikset provides a dedicated app for Android and iOS. Some additional features include remote options, log history, lock status notifications, and integration with many smart home devices. If you need remote access and monitoring then you will need the Kevo Plus which is available for an additional $100 fee. It costs $154 on Amazon. This is the second product from August in this best smart locks list. August Smart Lock Pro probably one of the most advanced smart lock on the market. Design wise the product feels very similar to the August Smart Lock, 3rd Generation but it has more advanced features. No need to replace your existing traditional lock. It can easily fit in the top of the traditional lock. You can manage this with voice command through Alexa, Google assistant, and Siri. In addition to that when bundled with the August Connect Wi-Fi Bridge, it can support Bluetooth, HomeKit, and Z-Wave Plus connections. Pro variant can communicate with a wide range of smart home devices. For example, switching off lights when you leave home and lock the door simultaneously. The app provides you an easy way to manage all these things with some simple icon taps. Particularly a feature to like is the huge button that facilitates one-tap lock or unlocks of your door. When the door is locked the button shows red status, and when it’s open it turns green. Some additional features include auto-unlock, activity log, smartphone control, virtual keys etc. It also has a new feature named DoorSense which is available in this pro package. A sensor equipped in this model senses and alerts if the door is open or shut and how long it’s been open for. Additionally, It also tracks and alerts you for the activity if someone has forced it open. It costs $213 on Amazon. So far, we have seen 5 best smart locks in this list. But this Ultralog UL3 is different from all of them. As per the company, it is the world’s first 5-in-1 keyless entry smart lock. The 5 methods of opening include fingerprint, code, mechanical key, smartphone, Knock / Shake to Open. It has the advanced fingerprint authentication that makes it unique. You can unlock the door in less than 0.5 seconds by using your fingerprint. Its user management system allows 95 different users access (keypad codes and fingerprints). It provides both Android and iOS apps to operate it through Bluetooth only. Unfortunately, there is no voice control support. The company is planning to equipped it soon. There is a hidden keyhole positioned especially on the bottom. It gives some extra security. This lock is powered by batteries and will last for 8000 times access. It costs $162 on Amazon. Reviewed above are few of the best smart locks available in the market for purchase and use for better security. The smart locks are growing its popularity and going to the next big thing in home automation and home security. No need to worry about dealing with the situations of misplacing the keys or losing them altogether. These type of locks provides a wide range of features than just the basic lock & unlock mechanism. Some of them can communicate with other smart home devices as well. With the rise in instances of house break or burglaries, It is today a necessity to notch up the security of your house than ever. Switching to the modern smart locks will be a step in the right direction. 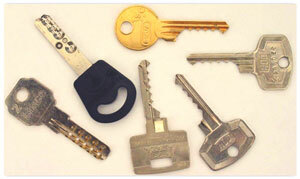 According to your budget and requirement, you can choose a lock from the above mentioned recommended list. Sold on the idea yet? So which smart lock you are going to choose? Feel free to comment and let me know.